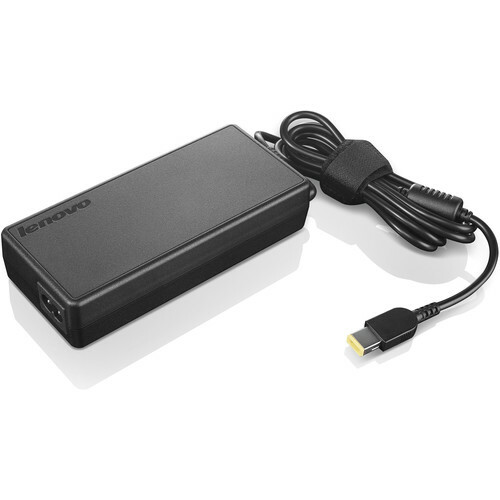 The slim tip ThinkPad 135W AC Adapter from Lenovo is an energy-efficient adapter with an ENERGY STAR V (ES 2.0) rating. Plug it into an available wall outlet to deliver AC power to your compatible ThinkPad laptop, and to recharge the system battery. Box Dimensions (LxWxH) 9.4 x 5.9 x 2.1"
ThinkPad 135W AC Adapter (Slim Tip) is rated 4.3 out of 5 by 6. Rated 2 out of 5 by larissa from Shipping took WAY too long It took a ridiculously long time from teh time I placed the order to actually receiving the package.